On June 6 at 7:00 pm, a bevy of highly regarded principal dancers from the San Francisco Ballet, ODC Dance Company, Alonzo King’s Lines Ballet, AXIS Dance Company, Smuin Ballet, Zhukov Dance Theater, Robert Moses’ Kin, and more, will perform in the first-ever Get in Front fundraiser at San Francisco’s Herbst Theater. 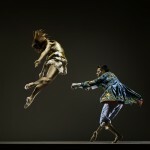 Alonzo King’s LINES Ballet has gained notice the world over for its genre-bending, innovative contributions to 21st-century ballet. The company straddles the evanescent line between ballet and other, more modern forms of dance with alacrity. For me growing up, every September meant Nutcracker auditions, and October and November were filled with rehearsals, costume fittings and the thrill of anticipation. 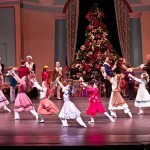 Years after we graduated, my fellow students and I still pined for Nutcracker season every fall.